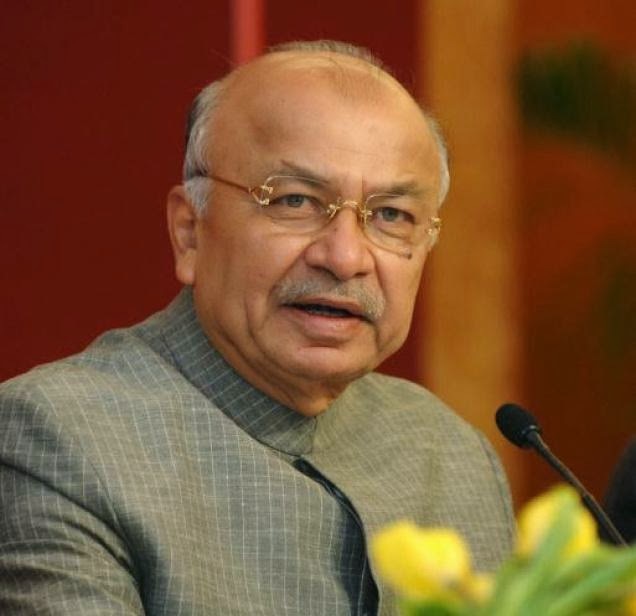 In his letter to all the Chief Ministers Sushil Kumar Shinde’s Centre’s Home Minster (30, 09, 2013), wrote that Government has been receiving complaints of harassment of innocent Muslim youth by Law enforcement agencies. He asked the state authorities to ensure that no innocent Muslim youth should be arrested or wrongfully detained in the name of terror. The letter also suggests that if such wrongful act has been done it should be duly compensated. Terrorism has been one of the major phenomenons of recent global scene. Globally the politics of controlling oil wells used the radical versions of Islam for creating the Al Qaeda series of terrorist groups, where the words Kafir and Jehad were totally manipulated, and that’s what resulted in the word “Islamic Terrorism’. With the coining of this term the catchy phrases were built by the vested elements. The currently popular one is, ‘All Muslims are not terrorists but all terrorists are Muslims’. This has become not only the part of ‘social common sense’ but also the policy base for investigating police officers. There might have been many other factors due to which police behaved like the way it did, a quick and reckless arrest of Muslim youth. For first few years of these arrests, only a handful of activists raised their voice against the biased attitude of the authorities. There were couple of people’s tribunals which heard the voices of the victims of biased behavior of the state machinery. There were painful narrations by the youth and their relatives about these youth having to abandon their studies half way through, many medical students, technology students amongst others, suffered due to the biased non professional attitude guided by the prevalent communal stereotypes in the society. With the Malegaon blast (2008) investigation done by Maharashtra ATS Chief Hemant Karkare, his professionalism took the better of the prevalent biases of the system and he was able to nab the real culprits, starting from Sadhvi Pragya Singh Thakur, Swami Dayanand Pandey to Swami Assemanad, many of who are currently in jails. The confession of Swami Aseemanand turned the tide of investigation and now those involved in acts of terror got nabbed by police. Notwithstanding this, the acts of terror at one level came down but after a bit of a pause they came up again and many an offshoot of Al Qaeda raised their nasty head once again. While a professional attitude can lead the authorities to the culprits, the biased attitude kept leading the police to many a Muslim youth over and over again. It is no body’s case that many a Muslim was not involved in the acts of terror, they were. The Al Qaeda and its stinking ideology it brought up kept circulating like a cancer and not only in India, but more so in Pakistan the acts of terror kept occurring. So where do we stand. One, Terrorism has nothing to do with religion. On one hand it is the cancerous spread of the Al Qaeda, a dangerous outcome of the policies pursued by US in setting up Madrassas in Pakistan. These insane acts of terror have been tormenting South Asia in particular. Second, as Swami Aseemanand confessed in front of a magistrate and the ideology enunciated in Sanatan Sanstha web site, these acts of terror are for creation of Hindu Nation. As per the ideology of Sanatan Sanstha, in this kaliyug (dark age) the Muslims and Christians are demons who need to be dealt with. So in the series of blasts starting from Malegaon to Ajmer to Samjhauta blast to Mecca Masjid the bombs were made to explode at the times when large number of Muslims congregates at one time. Samjhauta Express was targeted as the major passengers are Muslims. So we are dealing with two streams of terror, the Al Qaeda variety and Swami Aseemanand variety. Both these shades of terror wear the cloak of religion. Both have nothing to do with religion, both are motivated by politics. The question comes here if there are both the types of terror, how come youth only from one community are arrested left, right and center. Highlighting these issues, Ashish Khetan, a journalist with commitment to truth has started his web portal Gulail (slingshot), exposing many an acts of biased investigations and Muslims being the victims of that. Currently in Lucknow, Rihai Manch started a long lasting Dhrana to demand the release of innocent Muslims arrested for being terrorists, with no substance in the so called evidence. Many a Muslim groups took out a peace march from Malegaon to Mumbai to demand for the release of innocent Muslim youth who were in jails despite the fact that Swami Aseemanand had given the legally valid confession as per which his groups was the one behind Malegaon blast. Despite this, the innocent Muslims youth continued to be in jails without any evidence whatsoever. Since then they have now been released. It is in this background that Sushil Kumar Shinde’s letter to the state Chief Ministers has to be seen. BJP, as is its wont is communalizing the issue by saying that it is another act of appeasement on the part of the Government. As per BJP it is an attempt to divide the nation and that the letter should be taken back. This attitude of BJP is in pursuance of its agenda of Hindu Rashtra, one which benefits the elite of majority community. BJP can never understand that the unequal people cannot be treated equally in a democracy. The concept of affirmative action, the concept of the state a guardian of the weak cannot be the part of this communal party’s ideology. At one level they argue on the grounds of Constitution that all should be treated equally. So why is there provisions like Anti-Dalit Atrocities act, why is there a law against domestic violence for safeguarding women? A sensitive humane democratic society realizes that weak of the society need extra protection, extra provisions so that they don’t get trampled under the wheels of ‘Formal Equality’. As such the process of democracy is a march from formal equality to substantive equality. BJP cannot understand this journey and logic of democracy as they want a status quo of caste and gender hierarchy; they want supremacy of Hindu elite. So such actions which are meant to protect the weak are seen by them as dividing the society. As a matter of fact the efforts of Mr. Shinde are coming too late in the day. Years ago once the citizens inquiries, the tribunals, the dharnas brought forward the plight of Muslim youth in the wake of acts of terror, such a letter should have been issued. Not only that there is a need to train the police to overcome its biased behavior against religious minorities and other weaker sections of society. Mr. Shinde must take the process forward and call the convention of the top police officers and discuss the roots of terrorism, they should be made to understand the plight of marginalized people, and they should be made to go through the reports of these tribunals. As human beings, as officers, and as those who can be important conduit to bring justice to society, the police needs to be trained in a delicate social issue. Many a BJP leaders had been supping with the likes of Sadhvi Pragya Singh Thakur and Swami Aseemanand. In those cases they had even approached the Prime Minister to go soft on them! What a hypocrisy or is it? It is the part of their politics to protect Sadhvis and Swamis exploding bombs and to merrily oversee the torture of Muslim youth in the name of terrorism. That’s what communalism is, the ideology which is the base of this party!